The core of this anthology is at its center: Frank M. Robinson’s “The Oceans Are Wide,” A.E. 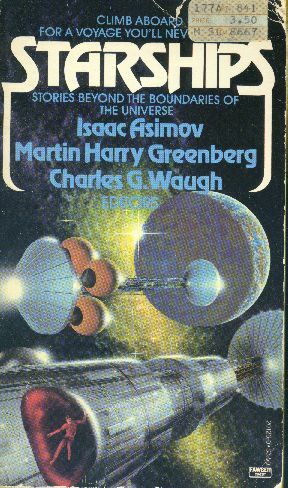 van Vogt’s “Far Centaurus,” and Anne McCaffery’s “The Ship Who Sang.” It also includes Eric Frank Russell’s wonderful “Allamagoosa.” Most of the other stories are reasonably good, too. Unfortunately, the piece by Asimov is not among the "reasonably good" ones—“Founding Father,” blech. “C-Chute” would have been a much more interesting story about interstellar travel and strengthened the anthology overall. Including “Founding Father” is an inexcusable travesty and really weakens it instead. Copyright © 1995–2014 by John H. Jenkins. All rights reserved.